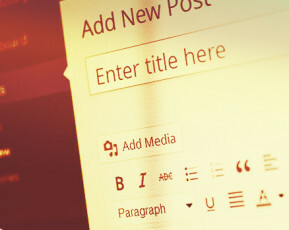 How do you imagine your perfect blog post? I bet it is a copywriting masterpiece with hundreds of comments and thousands of social shares. Sure you care about SEO performance, but a bigger pleasure is when your content wins readers’ recognition. And it spreads like wild fire because your post is just awesome. Unfortunately, the reality is different. You wait for days, but your well-written blog post remains ignored. Nobody shares it and it does not bring the desired traffic. That is a perfect time to ask a simple question: What did I do wrong? Start your analysis by reviewing these tips and implementing them if they weren’t followed. But I must warn you. If you’re looking for a magic elixir, a perfect remedy to instantly bring you tons of traffic, you won’t find it here. Actually, you won’t find it anywhere. 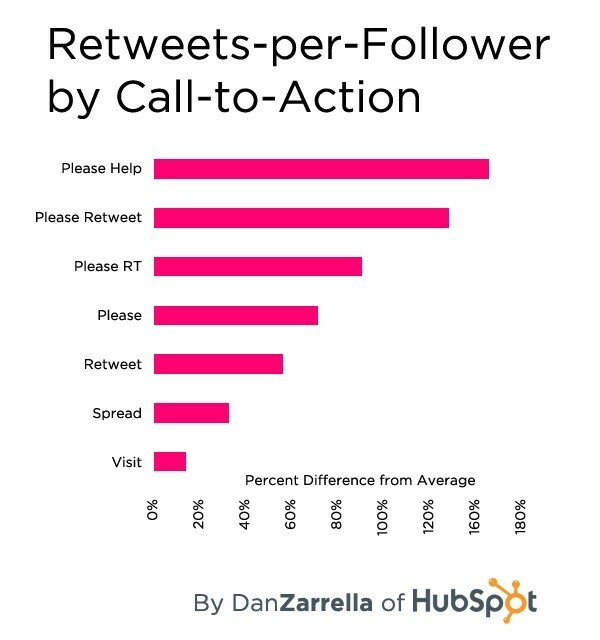 Creating viral content which brings tons of traffic requires hard, consistent work. And if you consider these tips, you will be able to make consistent improvements from post to post. You must understand the readers. If they don’t consider your headline worthy, they will never read your article. Remember that your headline almost always will be visible with many others. You want it to stand out. While crafting your best headline, remember that it is the first, and sometimes the only impression you can make on your potential reader. You primary task is to find content that already generated a lot of traffic and shares. Then you can build on top of it – create content on the same topic, but make it even better, bring it to a new level. Go deeper than the original author. Create a visually oriented post. Expand on what’s poorly covered. Sustain your information with facts, statistics, and links. 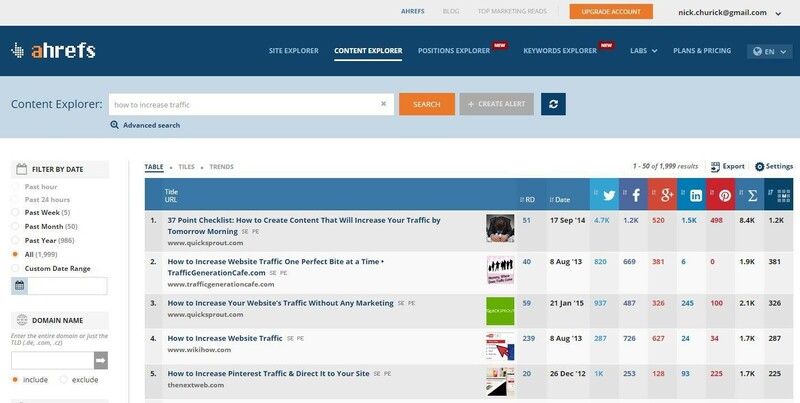 You can use Ahref’s Content Explorer tool to find the most popular content for your keywords. Just put them in the search box and get a list of top posts, sorted by the number of shares in different social networks. The time has come to ask yourself another simple but important question: What are the benefits from reading my post? You have to understand the psychology of sharing. People share content to lift or to sustain their authority in the eyes of their audiences. While they are not the authors, they are the ones who found it and gave it away. You see? These types of content educate people, answer their questions, and give them explanations and helpful lists. They all have practical utility. Analyze your recent content: Is it a topic that’s useful for your readers and in a format they’re likely to share? Or it is more salesy text, which does not inspire the readers to share? Put yourself in the reader’s place. You found an insightful post that you think your Facebook friends would like. What do you do? Click on the Facebook share button on the blog post. But if there is no such button, do you take the extra steps to copy the link, write something, and paste it into your feed? Probably not. Make your images shareable. Visual-only shares can still link to your blog post. Consider making your images easily pinnable by adding one of Shareaholic’s image-sharing WordPress plug-ins. Add tweetable quotes and sound bites. Highlight quotes from the post –the author’s, a celebrity’s, influencer’s, etc. You also can highlight your own sound bites, summary, or important notices. Use a click-to-tweet-type service. When the reader clicks the highlighted text, a tweet of the highlighted text and a link to your blog post or page is created. Another tool to consider is a WordPress plug-in, which provides templates of quote-box design. It also can make your images tweetable. Tip 5: Want a share? Ask for it. Don’t hesitate to ask your readers to share your post with their friends, and some of them will. Give them even the most ridiculous reason to do it and even more of them will share. Just by asking your readers to share your content you start building a relationship. And as they do you a favor, they will be more likely to favor you in the future. Follow these five tips when you craft your next blog post and the post after that and the post after that. Remember, blogging is hard, consistent work. That’s the only way to success. And now, considering tips No. 3 and No. 5, please share this post with your friends. I’m sure they will love it and find it helpful. Nick is a copywriter as well as an experienced Content & Social Media marketer. After several years of working for different companies, he is finally on his own way to success. Occasionally writing content for TweetDis. Let's wish him best of luck! You can always drop him a message on Twitter @NickChurick.